These programs add a little excitement and enrichment to the routine school day of reading, writing and arithmetic. Established for young people of all ages, they open doors to a wide-range of activities that bring fun and inspiration into student’s lives. Here are the best after-school programs in California. The program benefits more than 4,000 middle and high school students throughout the city by providing free after-school classes in arts, academics and athletics. Services are provided to students at six school sites through a registration process. The award-winning organization helps young people made new friends, learn valuable skills and, graduate. Kids, ages seven to 13, will learn basic woodworking skills at this hands-on program that puts hammers and saws and drills and measuring tapes into the hands of young people. The purpose is to teach children that building things is fun, creative and rewarding. All projects focus on safety and proper usage of tools and at the end of the multi-week class, students will have a usable, practical and functional creation. In the process, improved self-esteem, self-confidence and new skills sets are a positive result. The youngest learners get a jump-start in the learning process at this preschool program that caters to ages two to six. 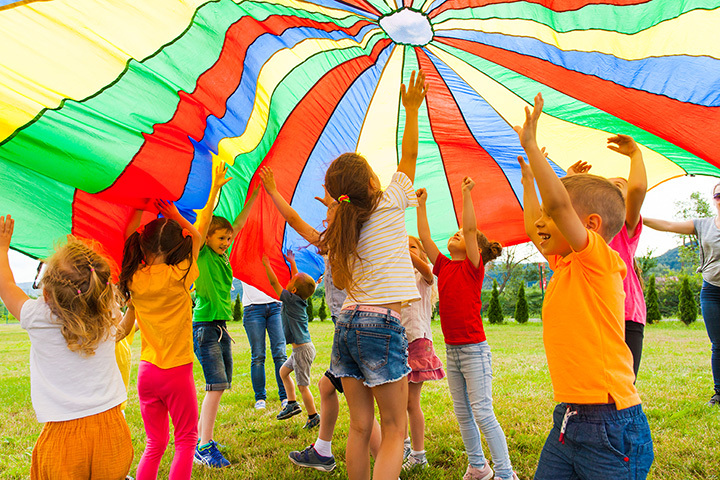 Programs help with social skills through poetry, phonics and vocabulary building, hands-on motor development activities, arts and crafts, plus music and singing in circle time. Efforts are focused on building critical life skills of confidence and communication and inspiring young people to be lifelong learners. Creative play in an outdoor environment fosters a green-thinking focus for kindergarten to fifth grade children. There’s a healthy balance of outdoor activities that complement indoor artistic and academic interests. On any given afternoon, kids will take a hike, garden, conduct a science experiment, participate in arts and crafts, play some sports or get introduced to a new book at storytelling time. This is an enriching place to be for students in kindergarten to fifth grade, both indoors and out. Whether it’s just a place to do homework or hang out with friends, this is a safe and fun spot to spend time. Enrichment classes include instruction in science, piano, art, cooking, drama, gardening and sports. There’s also plenty of downtime to unwind after school and healthy snacks! LEGO Bricks, which come in all shapes and sizes just like children, are used to build unique creations, as well as self-confidence for the young people in this program. These iconic kid’s toys help trigger lively imaginations, plus inspire interest in science, math and engineering. After school classes focus on architecture, engineering and technology, all through the use of these building blocks. The six-week session explores space, inventions, famous buildings and natural disaster, all through hands-on LEGO fun. If all the world’s a stage, it’s a good idea to get some instruction in how to navigate it. This program focuses on helping young people develop acting and speaking skills, regardless of age or experience level. Young people will learn how to develop a voice, be comfortable with public speaking, participate in teams and study groups and share ideas without fear of ridicule. In the process, they’ll learn how to “act,” but the driving force is to build skills so that they can interview confidently, negotiate effectively and think creatively. Extended day academic, enrichment and recreational activities take place at 13 middle and three elementary schools in safe, worry-free environments. The program provides academic enrichment, tutoring and mentoring services, as well as youth development, environmental activities, creative and performing arts, indoor and outdoor sports and STEAM, science, technology, engineering, art and math instruction. Students get to choose an activity that interests them and then work together with like-minded peers exploring it. What’s an algorithm? Or block-based programming? Digital footprint? IP address? These coding mysteries and more unfold in after-school classes here. Young people are introduced to computer programming, game design and mobile app development through training, activities and projects. Young people are encouraged to explore different technology career paths with the help of industry professionals. For students from grades three to eight. Class is once-a-week, for eight weeks. This non-profit organization with an acronym that stands for, Special Team of Role Models, is an after-school club that focuses on building character through physical activity, healthy living choices and social emotional learning. Role models provide expertise in school leadership campaigns, school enrichment and professional staff development. Students learn by example and in the process develop self-confidence and leadership skills through collaborative exercises and fitness and nutrition activities.